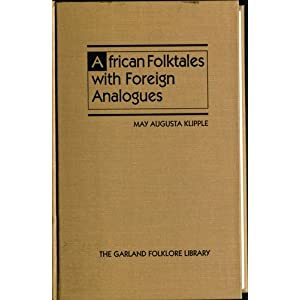 African Folktales with Foreign Analogues (Folklore Library) by May A. Klipple is another great resource for finding fairy tale variants of many tales, especially the better known European ones, but from Africa. This book is considerably smaller than the Arab collection discussed yesterday, but it is very helpful, especially in finding English language variants. The goal of SurLaLune has always been to multicultural/international, but due to my own interests, experiences and access to scholarship, it has and will always be dominated by European tales. However, I don't want to miss out on other tales so books like this one are very helpful. Perhaps the most unfortunate aspect of this book is its publication date of 1992 which means that the last 20 years of African folktale publications are absent, but that doesn't diminish the usefulness of this book, just a loss of scope since many books have been published in the past 20 years. Great post. This is something I'd like to look into more closely. Thanks for posting it.